When you choose a pipe bag, you are looking for a few things. You want your bag to be easy to use and that requires minimal maintenance. Strike-in and cut-offs have to be simple as well and this is directly linked to the bag structure (not balloon-like, but not too stiff). You also look for a bag that sits comfortably under your arm and that applies minimal pressure on your forearm. The new Bannaytne WMC hybrid bag satisfies all these criterias, I’ve never been that confident with a pipe bag than right now. The bannatyne moisture control system is compact, efficient and really easy to use as the silica gel changes color when you dry them out. The WMC pipe bag and Bannatyne Moisture Control system is the best combination I had for my pipes so far and I would recommend both products to anyone! Xavier is a piper from the North-Finistère (Lambader, 29) in Brittany. He started learning the bagpipes in Landivisiau aged 10 with Erwan Ropars and then Herve Le Floc’h. In 2001, he joined the Bagad Landerneau with Daniel Moign and Sylvain Hamon. He is currently a member of Bagad Cap Caval. He played with Cap Caval Pipe Band since 2000 and also with the Shotts & Dykehead Pipe Band in 2007 and 2008. From 2009 he was a member of Simon Fraser University Pipe Band. In addition, he plays tenor and soprano saxophone with several bands and performed with Shotts during their concert at the Glasgow Royal Concert Hall in August 2008. Beside bands, Xavier competes regularly on the solo circuit in Scotland. During the 2009 season, he won numerous awards in solo competitions (Kamloops, Seattle, Glenisla, Lonach, Oban …) and won the World Pipe Band Championships with Simon Fraser University Pipe Band. 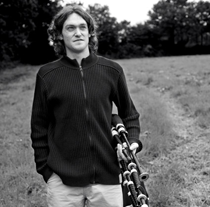 He develops the RedWood reeds in collaboration with Jakez Bodériou; they are hybrid drone reeds between traditional cane reeds and synthetic reeds. Xavier began teaching groups on a weekly basis but also workshops in 2005. In 2009 and 2010, he was an instructor at Piping Hot Summer Drummer (Simon Fraser University summer school).